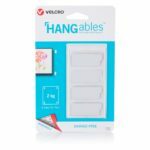 New VELCRO® Brand HANGables™ Removable Wall Fasteners come in a variety of shapes and sizes so you can conveniently decorate with all sorts of frames and decorative items. They’re low profile and have an peel tab for easy removal that never damages walls. 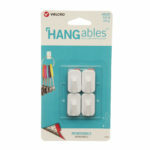 VELCRO® Brand HANGables™ Removable Wall Fasteners are the perfect way to decorate without damaging your walls. Hang frames. Create wall collages. 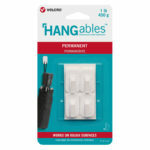 VELCRO® Brand HANGables™ Removable Wall Fasteners hooks are the perfect way to decorate without damaging your walls. Hang frames. Create wall collages.